Harry and the flood is a not for profit self illustrated and written book. 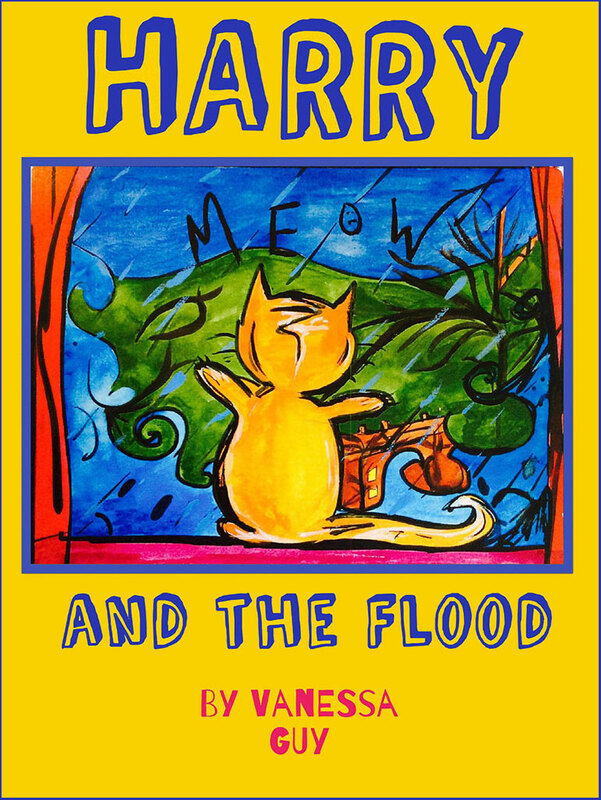 It is the account of the author's cat during the Boxing Day flood of 2015. It is funded by various charities and foundations and proceeds will be going back to these. It is very real and true story of surviving the unexpected through Harry's eyes. Vanessa is a Heptonstall based artist living with her cat Harry . Vanessa has narcolepsy and has had Harry as a companion cat during this time. Vanessa literally illustrates and is influenced by anything from the village around her to her narcolepsy and the rich vivid dream world it provides. When she is not drawing she is making miniature fashion design for her Blythe and Pullip dolls. Vanessa mainly draws on influences from comics, film, fantasy and horror including Japanese influences using anything from inks to digital media.